Do you want to get Litecoin Cash?...... Time to buy now!!!!!! ...Expected fork Monday, February 19 .. 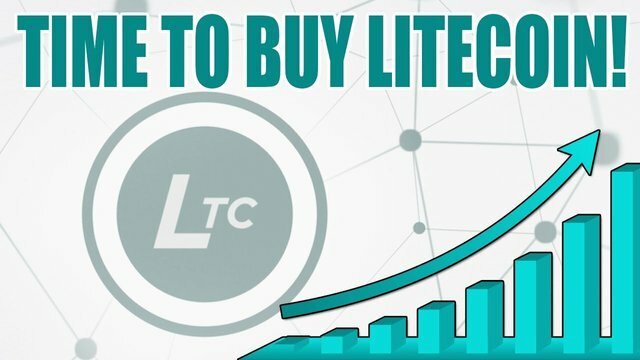 If you have read my previous posts I have mentioned the information and link about Litecoin.https://steemit.com/litecoin/@smarthamster72/what-is-litecoin-cash-expected-fork-time-23-40-44-sun-18-february-2018-utc Today I want to say my opinion in my trading experiences about Litecoin cash that will be happening by Monday 19 of February. If you want to make some money I recommend of buying Litecoin today or tomorrow and selling it after 20th of February. I think you can make some profit from this because everyone is going to want to get free 10 Litecoin cash for 1 Litecoin. The same thing happen to Bitcoin in case you didn't remembered half a year ago involving Bitcoin cash. However the Bitcoin cash was 1 per 1 but Litecoin cash is 10 per 1. In my opinion this is a fast quick way of making money. Of course the real money is in steem which would take longer however the profits will be greater as well..http://www.foxnews.com/politics/2018/02/07/arizona-might-allow-people-to-pay-taxes-via-bitcoin.html As far as bitcoin the state of Arizona in United States is accepting bitcoin to pay for the taxes, so this will boost up the bitcoin once more. I think in the near future other states will do the same this is very beneficial for the government. I almost feel like all the bad news that came out regarding bitcoin was made purposely so that hard working people lose money but the reality is much different. I see good future ahead, the fact that the government is accepting cryptocurrency for taxes already tells me that this is going to be a pretty future for individuals who involved in such investment. Great post...and thanks for voting me! you welcome, keep steemit !!! Great post. Do you know if this applies if you have it stored in coinbase? The fork is going to take users away from Litecoin. Either LCC will fail horribly or both will become mediocre coins. Did I disagree with that?